#WCW: Brown Chattertocks Display Haunting And Graceful Vocals In Cover Of "God Is A Woman"
There's something magical when a show-stopping stunner can be trimmed down to a highly nuanced, and just as effective performance. That's exactly what's going on in this #WCW segment highlighting the Chattertocks incredible video performance of Ariana Grande's "God Is A Woman." The video opens with a mesmerizing trio that demonstrates some of the most beautiful and haunting harmonizes you're bound to find online. But this only sets up the magnificence that is about to follow. 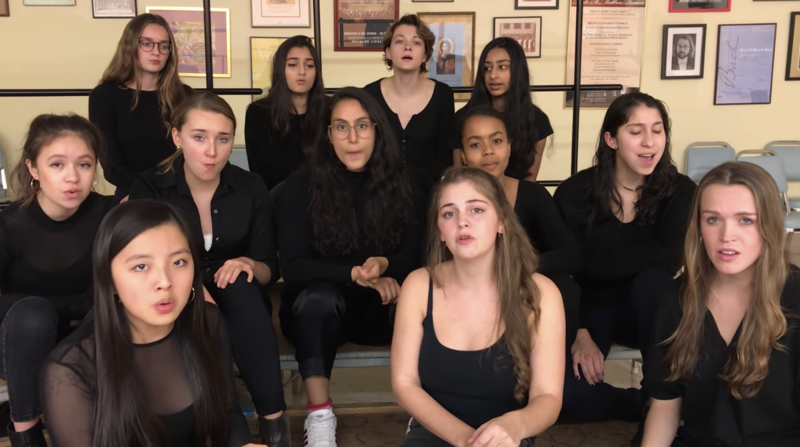 That's because the all-female a cappella group from Brown University takes subtle tones and warm chords to let Grande's passionate lyrics be front and center as soloist Sophia Volpe commands the performance. Volpe's showcases a touching lead, which is subdued initially but then becomes ripe with power as the song progresses. And the gentleness and patience of the backing group work wonderfully in helping to deliver such a hypnotic vocal performance.